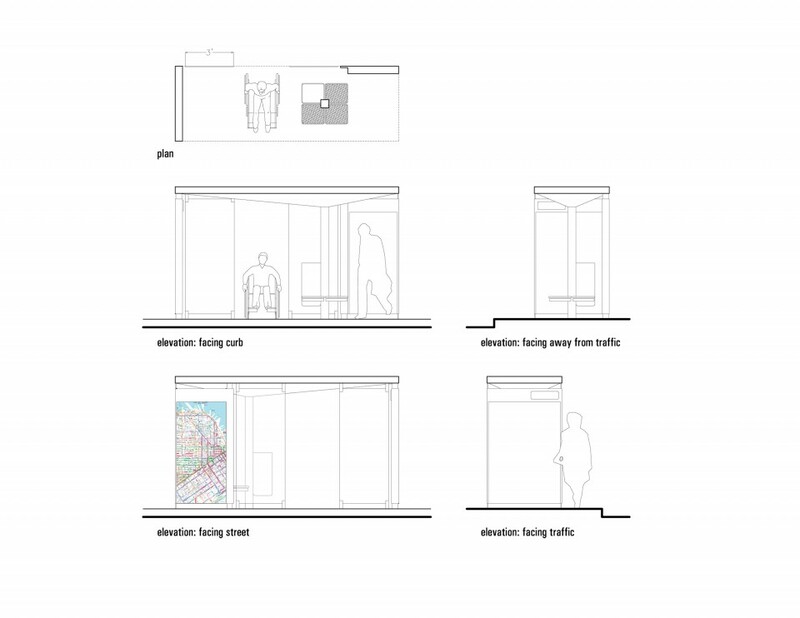 We were chosen as one of three local firms to redesign San Francisco’s transit shelters. 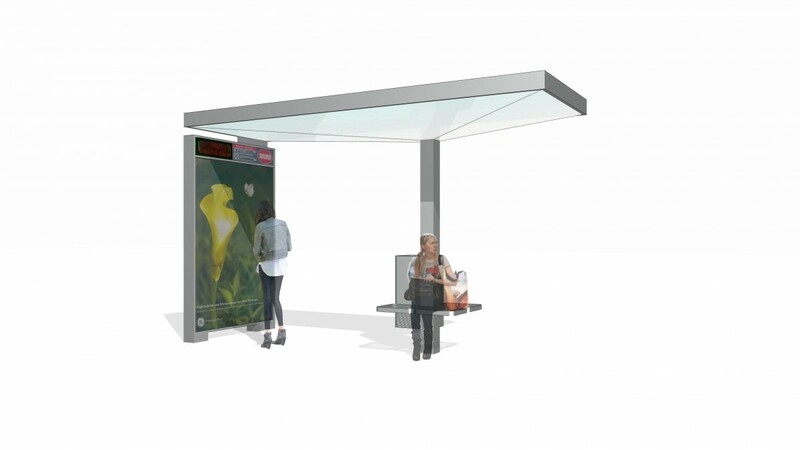 Large advertising corporations competed to win a contract to design, produce, and maintain transit shelters that could also include advertising. We worked for ClearChannel/Adshel, the company that ultimately won the contract. Our design was runner-up. The ideal sustainable form uses a minimum amount of energy to resolve the forces that define it. Our modest, elegant design was the simplest of over 30 submitted by the various advertisers. If the city’s urban fabric can be thought of as a work of prose, our idea was to create a quiet punctuation mark that could be inserted anywhere, in any paragraph. Not an exclamation point, to be sure; more like a comma or a semicolon.